Bitcoin mining has exploded in Venezuela due to the country’s massive hyperinflation. Now the Venezuelan government is requiring bitcoin miners to join an online registry. 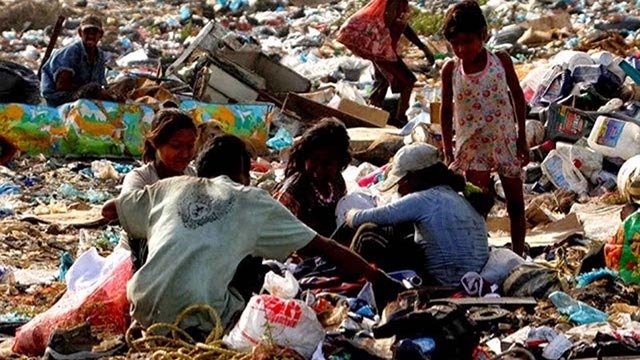 It seems that the misery of the Venezuelan people knows no end. The South American country’s economy has been hammered by massive hyperinflation due to the policies of the authoritarian government, now headed by President Nicolas Maduro. 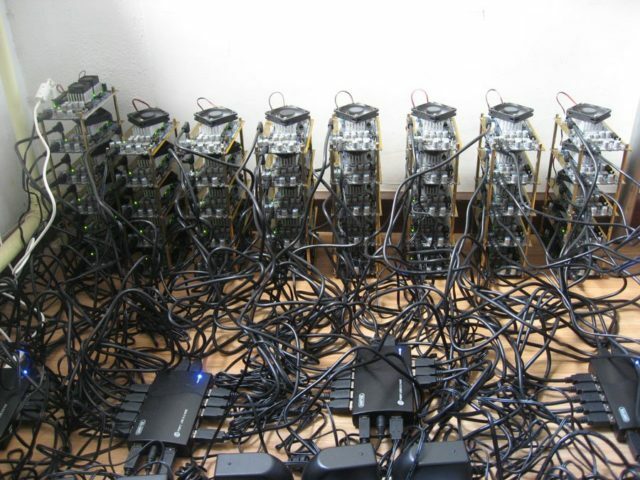 Many people, both poor and rich, have turned to mining Bitcoin in order to survive. Now a further clampdown is coming as the Venezuelan government is requiring bitcoin miners to join an online registry. The announcement of the new registry was made at a recent press conference by Carlos Vargas, the newly appointed “superintendent of Venezuelan cryptocurrency.” Bitcoin miners will have to start registering with the government on December 22nd when the online registry goes live. We want to know who they are, we want to know where they are, we want to know what equipment they are using. The people of Venezuela have been hammered by the socialist economic policies of the country’s last few administrations. Basic necessities, such as food and medical supplies, are non-existent, and inflation has reached over 4000% this year. Such circumstances have forced people to turn to Bitcoin in order to get the items they need to actually survive, and the situation is not getting any better. Weekly bitcoin trading in Venezuela has skyrocketed from $225,000 early in the year to a staggering $2.1 million in the first week of December. As soon as the people turned to bitcoin mining, extortion and theft by the authorities have happened. Many individuals have had their mining rigs confiscated by police and federal authorities, only to have those authorities use the machines to mine bitcoins for themselves. One miner recently gave up 11 of his 20 machines in lieu of a $20,000 bribe, and insult has been added to injury as the officials who stole his machines now contact him for technical advice. So, what could go wrong with an online registry for bitcoin miners? The most obvious is that the government will be able to do a mass confiscation once a full list has been compiled. 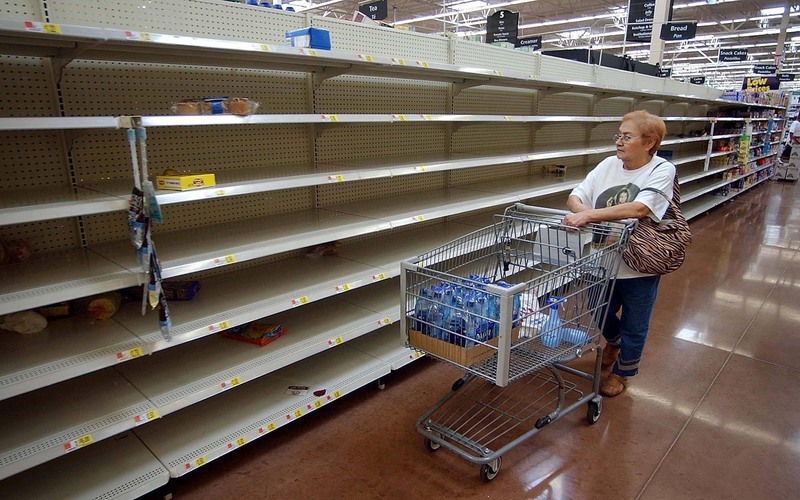 The government of Venezuela has nationalized (forcibly taken over) hundreds of businesses, which has led to the vast majority of them failing. If I were still in Venezuela, there’s no way I would sign up. If they weren’t protecting miners’ rights without a registry, how can they trust that they would protect their rights with a registry? First they need to publicize what the registry will be used for, because we can’t trust their intentions. The likely result of the new online registry is that the majority of bitcoin miners will move even further underground. You would have to be stark-raving mad to believe that a corrupt government will honor any agreement to allow bitcoin miners to legally operate in peace. Either new taxes will be imposed upon the miners or the government will outright confiscate the equipment. Either way, the government will take the bounty of bitcoin mining for themselves. A dictatorial president, a national government who has seized hundreds of legal businesses, economic policies that have ravaged the country, and massive corruption all point to a really bad outcome for those who sign up for the registry. But at least Venezuela will have the Petro, their own national cryptocurrency! What do you think about the compulsory registry for bitcoin miners in Venezuela? Would you sign up? Let us know your thoughts in the comments below. Beleaguered by so-called ‘black money’ and tax evasion, the Indian government is planning to issue its own fiat cryptocurrency according to recent news reports. It’s been almost a year since the Indian government decided to take harsh measures against “black” money and tax evasion. On November 18, 2016, the Indian government removed their two highest value banknotes from circulation, effectively removing 22 billion banknotes from the country’s monetary system. With many people fearing for their savings, they resorted to cryptocurrencies in order to preserve their funds. This caused a huge trading volume spike for cryptocurrencies in India. Now, Indian regulators fear that more capital will float out through Bitcoin or other cryptocurrencies. According to an article by Business Standard, the Indian government is currently working on a legal framework that will properly regulate digital currencies like Bitcoin. I won’t be surprised if the government comes up with its own cryptocurrency because banks are trying blockchain as a technology and to make blockchain work it would need some cryptocurrency. Since it doesn’t trust Bitcoin it may come up with their own currency. The Indian government isn’t the only one that is planning to issue a national cryptocurrency. According to Investopedia, the Chinese national bank is also planning to introduce its own cryptocurrency. After the recent crackdown on cryptocurrency exchanges in China, many experts believed that this would be the end of cryptocurrencies in China. But this crackdown may come necessarily as Chinese authorities are planning to introduce further regulations for initial coin offerings and cryptocurrency exchanges. What are your thoughts on an Indian fiat cryptocurrency? Do you think that it could replace Bitcoin in India? Let us know in the comments below! incidents of People are increasingly being arrested in the U.S. for selling Bitcoin via online sites such as localbitcoins.com. With the recent surge in the public’s interest in Bitcoin and cryptocurrency as a whole, the United States government is sitting up and taking notice of something that many officials once dismissed as a passing fad. As a result, a disturbing trend has begun to emerge. Law enforcement agencies are arresting and charging people with a crime for selling Bitcoin in the U.S.
Bitcoin has yet to be given currency status in the U.S. and since lawmakers are still struggling to wrap their minds around the new technology, laws governing the buying and selling of Bitcoin are nebulous at best. While that may come as no surprise to many, it is worth familiarizing yourself with the laws that do exist should you wish to sell Bitcoin. While it is not illegal to buy and sell Bitcoin per se, four people have been arrested for exchanging the cryptocurrency for fiat. The charge? Operating a money transmission business without a license. In May of this year, Jason Klein of Nixa, Missouri waived his right to a grand jury trial and plead guilty to the charge of “conducting an illegal money transmission business.” He was arrested after five separate instances of in-person transactions of cash for bitcoin with undercover federal agents. Transaction amounts ranged from $1,000 to $15,000. Also in May, Detroit, Michigan resident Sal Mansy plead guilty to the charge of “operating an unlicensed money service business.” Between 2013 and 2015, it is estimated that Mansy bought and sold close to $2.5 million worth of bitcoin, the proceeds of which he funneled through a legitimate business that he owned. Although the wording of the exact charge varies to some degree, the operative word in both is ‘business’. That is, the main marker of criminality seems to be whether or not an individual is selling Bitcoin as a business. The litmus test for whether or not it constitutes a business seems to be a combination of the frequency and volume of the transactions as well as to whom the individual is selling. ‘As a business’ is the qualifier that triggers the money transmission laws. […] If you come to me and ask to buy $100 worth of bitcoin and I sell that to you, in no state is that sole activity considered to be money transmission. It must occur in a sufficient frequency and volume and you have to accept all comers. It’s a fact-based test. Selling Bitcoin as a business requires a license and consciously selling Bitcoin to someone whom you know to be a money launderer is a path to conviction. Two Arizona men found this out the hard way when undercover federal agents contacted them through localbitcoins.com and the officers told the men the funds they were using to buy with were illegally obtained. This was enough to arrest the pair, and not only charge them with unlicensed money transference but on money laundering charges as well. Although convictions for selling Bitcoin illegally appear to be on the rise, the law is far from clear cut. Judges in several states disagree with the assessment that selling Bitcoin is illegal. Last year in Florida, Miami-Dade Circuit Judge Teresa Mary Pooler ruled in the case of the State of Florida v. Michell Espinoza that since Bitcoin was not backed by any government or bank it could not be considered ‘money’. Espinoza had been arrested and charged with illegally transmitting and laundering $1,500 worth of Bitcoin, which he sold to undercover detectives who had informed him that they planned to use the money to buy stolen credit cards. This court is unwilling to punish a man for selling his property to another, when his actions fall under a statute that is so vaguely written that even legal professionals have difficulty finding a singular meaning. Do you sell Bitcoin? How will recent rulings affect lawmakers’ decisions in future Bitcoin-related cases? Let us know in the comments below.